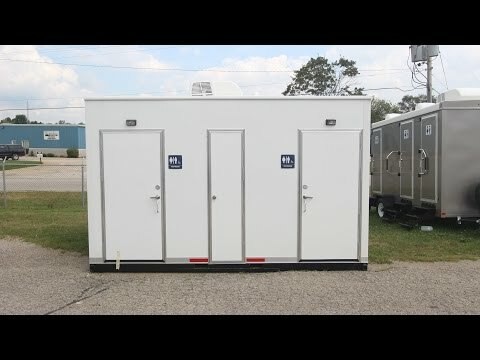 Park Model Restroom Trailers give users the look and experience of a permanent restroom facility, with the flexibility and price point of a mobile restroom solution. 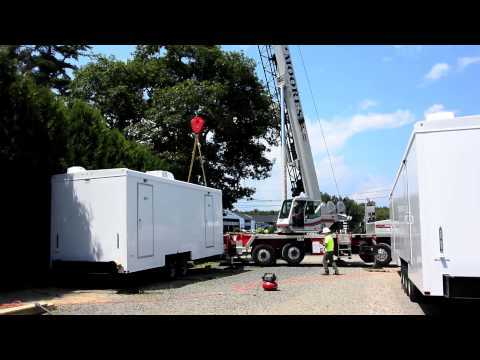 Our park model restroom trailers sit at ground level, making them the perfect semi-permanent solution for many locations. Walking into a park model restroom from PRT is no different than using a permanent restroom facility; their public floor plans are designed to maximize traffic flow and improve maneuverability. In addition, these units can be custom-built to meet ADA requirements.